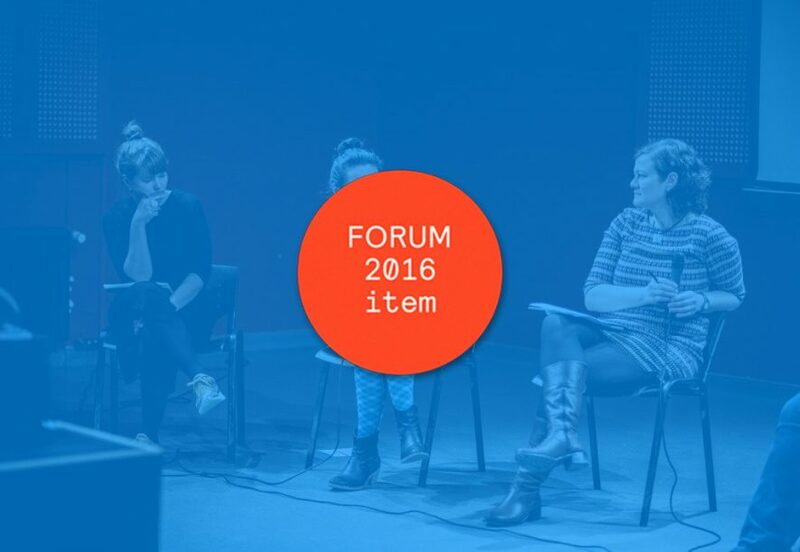 What can theatre do to solve European issues? Writer, theatre maker and dramaturg Anoek Nuyens (The Netherlands), took part in Re:Thinking Europe through Engaged Theatre, in Bulgaria. For two days, different experts discussed the growth and popularity of engaged theatre in Eastern Europe in the last years. How can art help us to make sense of the complex realities of today’s Europe? Anoek Nuyens delves into this question. Exactly 24 hours after the attacks in Brussels I’m at Schiphol airport. While I expected to see hordes of border police carrying AK 47’s and friendly employees in yellow jackets, I experienced the opposite: the airport is empty. I think about my mother. She called me yesterday to ask if it was absolutely necessary to go to Bulgaria. Wouldn’t I be better off staying at home after the attacks? Judging by the empty airport corridors, my mother wasn’t the only one who had called. So why did I end up going anyway? On behalf of Re:thinking Europe through Engaged Theatre I am flying to Sofia, Bulgaria, to meet theatre-makers from various European countries. Not a Europe of Coal and Steel this time, but a Europe rooted in cultural exchanges and common identities. The flight time from Amsterdam to Sofia is 2.5 hours. That’s how long I have to read up on Bulgaria, a country I know nothing of. I read about the many ‘Skype-mothers’ in Bulgaria; mothers who work in a different European country and can only stay in touch with their children through Skype. And I read about the ‘hunger’ and ‘electricity bills’ protests in 2013, about an activist who, acting out of pure desperation, soaked himself in gasoline on a square, lit himself on fire to die in a sea of flames. When I am not reading, I glance out of the small airplane window. From above, everything looks more understandable and clear. It is only after you land and find yourself among the people and the buildings that things tend to get complicated. Yet, according to the German philosopher Hannah Arendt, the world cannot be observed from above. From above, from the airplane window, you see the Earth; not the world. The world, according to Arendt, can only be experienced among people, through interaction and conversation. For two whole days we create a temporary ‘in-between space’ in Sofia. We discuss from dawn till dusk, the differences and similarities between our approaches to theatre, about extreme forms of racism in Hungary, about Grindr and homophobia in Poland and the Dutch referendum against the association treaty with Ukraine as symbol of a rising right-wing populism. We build an inventory of local and global problems, of troubling issues within the European Union that beg for solutions. But it’s so much and so all-encompassing that, more than anything, it sparks cynicism. Especially when you apply it all to the context of theatre because, after all, what can theatre actually do to solve these issues? Theatre can lend a voice to someone who isn’t being heard. It can provide minority groups in society a right to existence. It can give people hope and maybe even the feeling that there are alternative spaces or ideas that can exist parallel to the status quo. But does it? And if so, does it do enough, and in the right places? Is theatre still a place where people come together to be confronted with reality, or has it mostly become a place to escape reality and enjoy an evening of leisure? After two days I arrive back at Schiphol airport, tired and confused. I suddenly notice that there are Easter decorations everywhere. I decide to call my mother. She sounds relieved upon hearing my voice, and asks me how it went. I take a deep breath and am about to share my inventory of problems with her, to tell her that I don’t think there is a way out of the mess, but I change my mind and instead opt to tell her about the surroundings; the way I landed in Sofia and drove to the theatre, where I ended up in a beautiful room with large metal windows and an old wooden floor. I tell her that I met four theatre-makers from different countries, and that we sat in a circle, telling each other about ourselves, listening to each other, attempting to gauge where we are at this moment in time. But also where the European Union should be headed and how we, as theatre-makers, relate to that direction. It is this image, this embodiment of the willingness to exchange thoughts regardless of differences in culture and language, that moves me to this very day. Perhaps that is the essence of what theatre can be in these times of uncertainty: to create spaces where you come together with strangers to tackle pressing matters and complex dilemmas.